TOKYO & JAKARTA, Mar 26, 2019 - (JCN Newswire) - NTT DOCOMO, INC and PT Solusi Tunas Pratama Tbk. 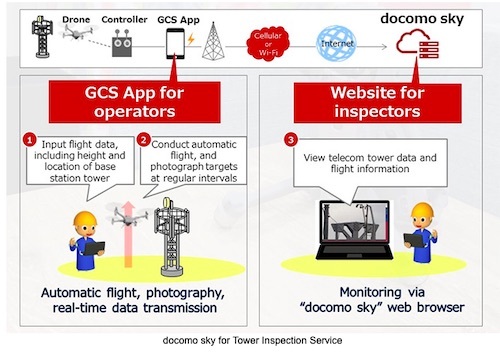 (STP), a company that leases out telecommunication towers in Indonesia, have agreed to test a service, named docomo sky for Tower Inspection, that uses drones to photograph base stations and telecom towers and transmit the information to a command center in real time. The partners hope to expand the scope of the test to include other locations and facilities prior to launching a full-scale commercial service in the first half of this year.